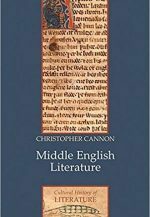 Christopher Cannon works on medieval literature and, in particular, the emergence of 'English literature' as a meaningful category. He has traced that emergence conceptually (in the intellectual contexts in which it developed), philologically (in the history of English) and, comparatively (as Latin learning produced a 'grammatical' English and its poetics). He is the author of From Literacy to Literature (Oxford University Press, 2016), Middle English Literature: A Cultural History (2008), The Grounds of English Literature (2004), and The Making of Chaucer's English: A Study of Words (1998). He is general co-editor of Oxford Studies in Medieval Literature and Culture (a monograph series) and of the Oxford Chaucer (an edition in progress of all of Chaucer's writing). He has held a Guggenheim Foundation Fellowship and has received the William Riley Parker Prize from the MLA (2014). 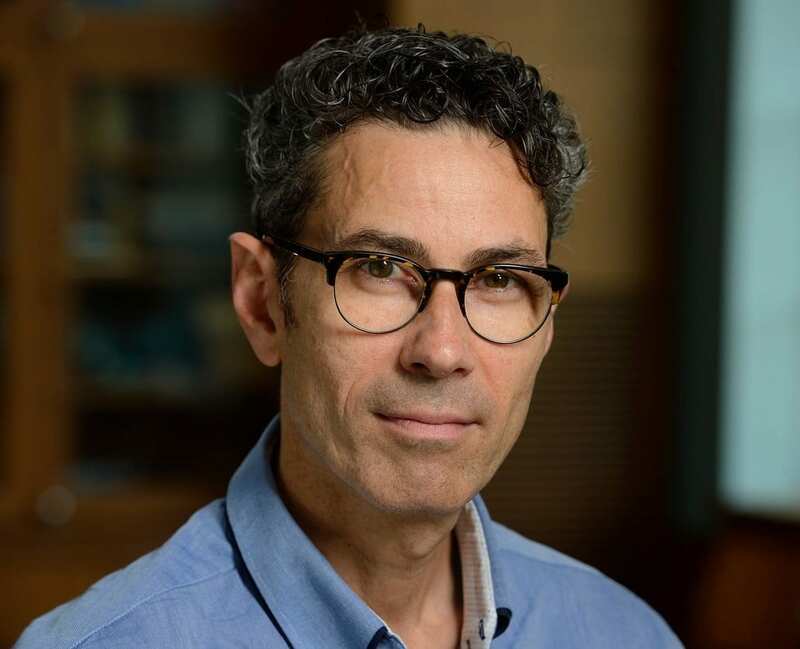 He came to Johns Hopkins in 2017 after teaching at NYU, Cambridge, Oxford and UCLA. 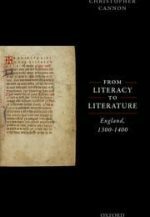 From Literacy to Literature: England, 1300-1400 (Oxford: Oxford University Press, 2016). 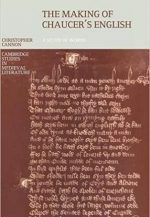 Middle English Literature: A Cultural History (Cambridge: Polity Press, 2008). 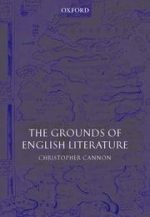 The Grounds of English Literature (Oxford: Oxford University Press, 2004; paperback edition, 2007) . The Making of Chaucer's English: A Study of Words (Cambridge: Cambridge University Press, 1998; reprinted 2001; paperback edition 2005). 'Malory's Comedy', in Romance Rewritten: Essays in Honor of Helen Cooper, ed. Elizabeth Archibald, Megan Leitch, and Corinne Saunders (Woodbridge, Suffolk: Boydell and Brewer, fortcoming 2018). 'The Ploughman's Tale', The Yearbook of Langland Studies 31 (forthcoming, 2017). ‘Teaching and Learning’, in Oxford Twenty-First Century Approaches Series: High Medieval: Literary Cultures in England , ed. Jocelyn Wogan-Browne and Elizabeth Tyler (Oxford: Oxford University Press, forthcoming 2017). 'Wyth her owen handys': What Women's Literacy Can Teach Us about Langland and Chaucer', Essays in Criticism 66 (2016): 277-300. 'Reading Knowledge', PMLA 130 (2015): 711-17. 'Vernacular Latin', Speculum 90 (2015): 641-53. 'From Literacy to Literature: Elementary Learning and the Middle English Poet', PMLA 129 (2014): 349-64. 'The Art of Rereading' ELH 80 (2013): 401-25. 'Class Distinction and the French of England' in A Modern Medievalist: Traditions and Innovations in the Study of Medieval Literature, ed. Charlotte Brewer and Barry Windeatt (Woodbridge: Boydell and Brewer, 2012), 48-59. 'Chaucer and the Auchinleck Manuscript Revisited', The Chaucer Review 46 (2011): 131-46. 'The Language Group of the Canterbury Tales' in Medieval Latin and Middle English Literature: Essays in Honour of Jill Mann, ed. Christopher Cannon and Maura Nolan (Cambridge: D. S. Brewer, 2011), 25-40. 'Proverbs and the Wisdom of Literature: The Proverbs of Alfred and Chaucer's Tale of Melibee', Textual Practice 23 (2010): 407-34. The Sensorium of Reading is a KSAS interdisciplinary seminar at Johns Hopkins University that seeks to understand reading as it draws upon and is shaped by mind and matter alike, within the sensorium of eyes, ears, hands, fingers, tongues, throats, necks, backs and brains. We study reading enabled (and sometimes impeded) by light, air, wind, wood, stone, glass, paper, skin and an ever-expanding array of interfaces, including the ways that texts can be sounded and heard, can be touched and can touch us.